Optical storage devices save data as patterns of dots that can be read using light. A laser beam is the usual light source. The data on the storage medium is read by bouncing the laser beam off the surface of the medium. If the beam hits a dot it is reflected back differently to how it would be if there were no dot. This difference can be detected, so the data can be read. Dots can be created using the laser beam (for media that is writable such as CD-Rs). The beam is used in a high-power mode to actually mark the surface of the medium, making a dot. This process is known as ‘burning’ data onto a disc. Read-only optical discs have data written onto them when they aremanufactured. This data cannot be changed. Compact Disc - Read-Only Memory (CD-ROM) discs can hold around800MB of data. The data cannot be altered (non-volatile), so cannot be accidently deleted. CD-ROMs are random-access devices. Digital Versatile Disc - Read-Only Memory (DVD-ROM) discs can hold around 4.7GB of data (a dual-layer DVD can hold twice that). DVD-ROMs are random-access devices. DVD-ROMs are used in the same way as CD-ROMs (see above) but, since they can hold more data, they are also used to store high-quality video. Blu-Ray disks are a recent replacement for DVDs. A Blu-Ray disc can hold25 - 50GB of data (a dual-layer Blu-Ray disc can hold twice that). Blu-Ray discs are random-access devices. Blu-Ray discs are used in the same way as DVD-ROMs (see above) but, since they can hold more data, they are also used to store very high-quality, high-definition (HD) video. The 'Blu' part of Blu-Ray refers to the fact that the laser used to read the disc uses blue light instead of red light. 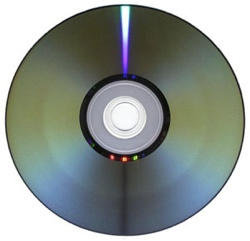 Blue light has a shorter wave-length than red light (used with CDs and DVDs). Using a blue laser allows more data to be placed closer together on a Blu-Ray disc, than on a DVD or CD, so Blu-Ray has a much higher storage capacity than these older discs. 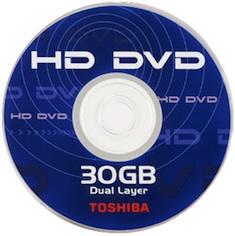 High-density DVD (HD-DVD) discs can hold around 15GB of data (a dual-layer HD-DVD can hold twice that). HD-DVDs are random-accessdevices. HD-DVD discs are used in the same way as DVD-ROMs (see above) but, since they can hold more data, they are also used to store very high-quality, high-definition (HD) video. The HD-DVD format was launched at the same time as Blu-Ray. For about a year they competed to be the 'next DVD'. For various reasons, Blu-Ray won the fight, and the HD-DVD format has been abandoned. 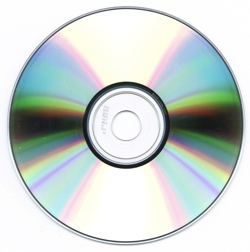 Recordable optical discs can have data written onto them (‘burnt’) by a computer user using a special disc drive (a disc ‘burner’). CD-Recordable (CD-R) and DVD-recordable (DVD-R) discs can havedata burnt onto them, but not erased. You can keep adding data until the disc is full, but you cannot remove any data or re-use a full disc. 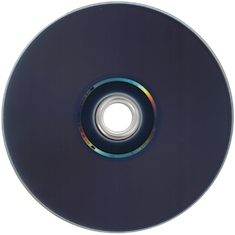 CD-ReWritable (CD-RW) and DVD-ReWritable (DVD-RW) discs, unlike CD-Rs and DVD-Rs, can have data burnt onto them and also erased so that the discs can be re-used. 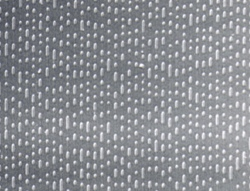 When CD-Rs and DVD-Rs are burnt, the laser makes permanent marks on the silver-coloured metal layer. This is why these discs cannot be erased. When CD-RWs and DVD-RWs are burnt the laser makes marks on the metal layer, but in a way that can be undone. So these discs can be erased. DVD-Random Access Memory (DVD-RAM) discs are a type of re-writable DVD. They often come in a floppy-disc style case (to protect the disc). 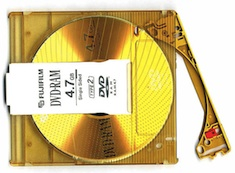 DVD-RAM discs have a similar capacity to a normal DVD, holding 4.7GBof data. DVD-RAM discs are random-access devices. DVD-RAM discs are used in manycamcorders (video recording cameras). The discs are much higher quality than normal DVD-RWs and can reliably store data for up to 30 years. This means that they are often used for video and data back-up and archiving.